Langkawi has been on my bucket list for a long time now. We have nearly visited several times in the past, but something has always prevented us. I was so happy that we finally made it to this beautiful island and surprised to find that it was even better than I had imagined. Langkawi should definitely be on your must visit list when you go to South East Asia and below you will find the best of Langkawi and all the information you need to make your visit as awesome as possible! 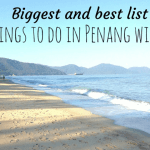 What is there to do in Langkawi? So much! There are a lot of attractions in Langkawi. I was surprised by just how many there are. Working out what to do in Langkawi and how to proritise your time may be the hardest part about a trip here. Here is our list! I have to start my list of Langkawi things to do with this one as it was my personal favourite. We took a three hour sunset cruise on a beautiful boat with Naam to watch the sunset including dinner and drinks (including alcohol). The cruise departed from the Royal Langkawi Yacht Club and, with a cold towel and cold juice on departure, we felt incredibly relaxed right from the start. The scenery was just superb. I was surprised to find that the landscape reminded me a lot of the Krabi area. It resembles its Thailand neighbour far more than the coast in Penang. There were lots of islands and limestone cliffs. It was very peaceful. The sunset dinner was lovely and fresh – featuring fish, satay, salad, rice, and several other dishes. I had no problems being vegetarian. The boat was perfect. A great size with places for the kids to explore and plenty of space to sit and relax. We only shared the cruise with about ten other people which added to the enjoyment. There were plenty of staff on hand to help us out and serve us drinks. It was truly heavenly. I was also happy to find that the kids enjoyed it too, so much so that there were no tired tantrums. I am usually too scared to take them out in the evening as I think they will have a breakdown, but it was not an issue at all. The staff were great and assisted our children whenever they wanted to go up or down stairs or walking around in general. They were very good in making sure the kids were never at risk of going overboard if they suddenly raced off on us. I was never worried at all. You can find more information about this cruise and other opportunities to explore Langkawi with Naam here. 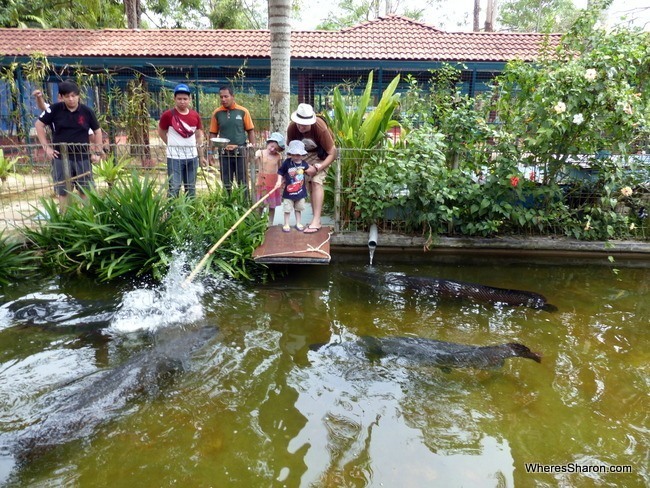 One of the kids’ best places to visit in Langkawi would have to be this wildlife park. 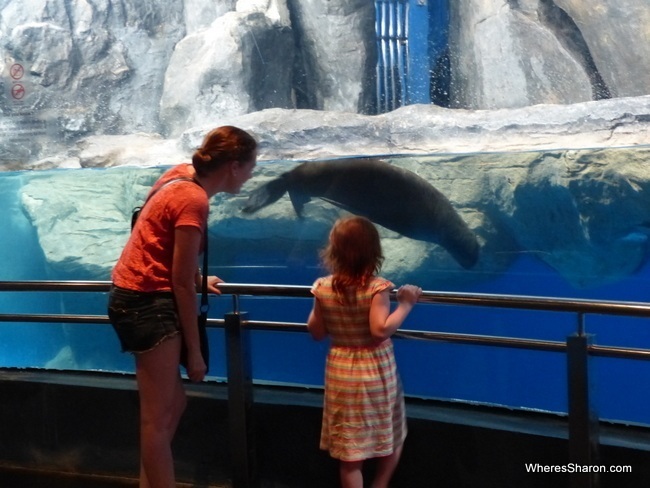 There is an emphasis on being hands on and interacting with the animals, and they just loved it. They fed and patted a huge amount of animals from guinea pigs and rabbits to hornbills and deers. J even fed a massive crocodile. The park has many types of birds as well as fish, turtles, monkeys and racoons. The idea of this initially concerned me, but I feel it was done in a responsible way. The kids absolutely loved getting to feed the animals and I was impressed how into it they got. They were not scared of anything and it was great for my little city slickers to have a completely different experience. I don’t think S is going to forget being covered in budgies for a long time! There is also a cafe onsite and we had a great lunch. Read more information about this park. This fruit farm is a lovely, relaxed place to visit on your family vacation. There are tours via truck with stops to see different fruit trees with the opportunity to feed deers at the end. It is informative and fun and our kids were certainly interested to see how different fruit were grown. There is also a delicious fruit buffet where you can try lots of different fruit. We found this especially useful as people who are living in Malaysia – it has us eating different fruit now. You can find more information about visiting this fruit farm here. 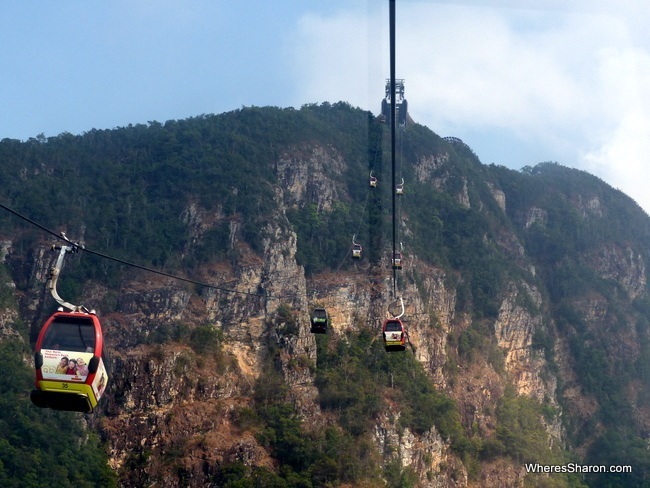 Another must visit attraction in Langkawi is the Langkawi Skycab. It is the world’s steepest cable car, with the top station at 708 metres above sea level. The ride up is lots of fun and there is a stop to take in the views on the way. The top has great views over Langkawi and out to the sea. While waiting for the Skycab there is also an attraction – the Skydome. This consists of a dome equipped with 12 projectors to show 360 degree 3D images. We watched a short “movie” about being on a roller coaster on Mars. Movie is really the wrong word though, it definitely felt like we were in the roller coaster, despite the seats/floor not moving. This is an attraction in itself and the kids loved it. At the bottom there are shops selling drinks, snacks and souvenirs, as well as other attractions, such as a 6D cinema and a 3D Art in Paradise museum. There is also a Skybridge near the top of the hill which is a 100m pedestrian bridges suspended above the ground (this is not suitable for kids under 6). The island chains to the northeast of Langkawi are beautiful and little visited by tourists. Langun Island is a great choice with a freshwater lake and beautiful Sand Spit beach. Nearby Dendang Island (also known as Tanjung Dendang Island) is a popular destination for sailing tour operators and for good reason. This place is beautiful and is home to Langkawi’s largest cave. It’s a peaceful place to sail with beautiful scenery and limestone cliffs. You can visit with Langkawi Stardust Sailing. There is a cafeteria with toilets roughly mid-way through the aquarium. It all ends in a duty free shop with some impressive prices on spirits. 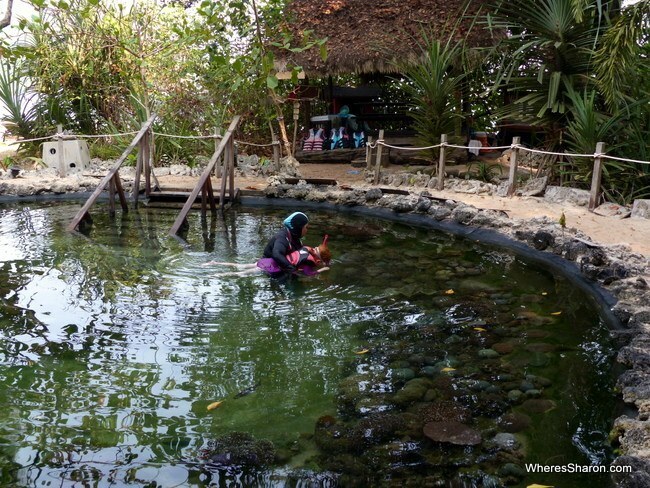 Visit rice paddies and a free rice museum. 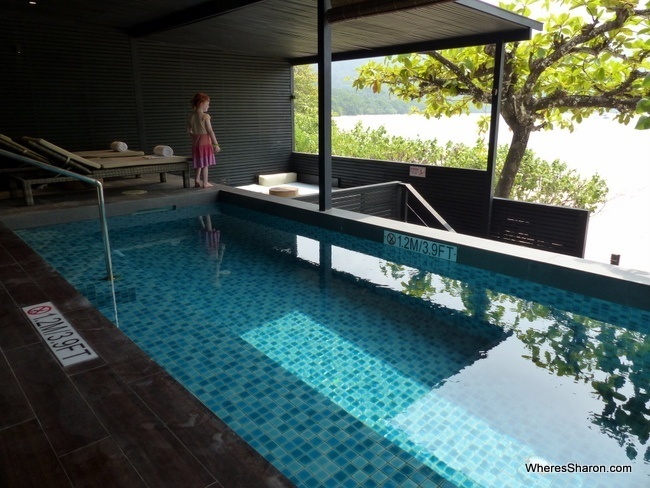 There is a wide range of places to stay in Langkawi as well as a wide range of locations. Langkawi is not very big – it is possible to drive anywhere within a relatively short period of time. 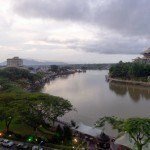 However, the attractions are spread out, so if there are some particular Langkawi island attractions you want to visit, then it is worth seeing where they are in relation to each other and where you might want to stay. We stayed in two different hotels in Langkawi. Both were great, but offered different experiences. Which place is the best hotel in Langkawi for you will depend on your needs and budget. In fact, if I was planning Langkawi again, I would probably do the exact same thing as what we did – stay in a central, good value hotel for the first part of the trip while exploring attractions and then finish with what is perhaps the best resort in Langkawi for some relaxation. 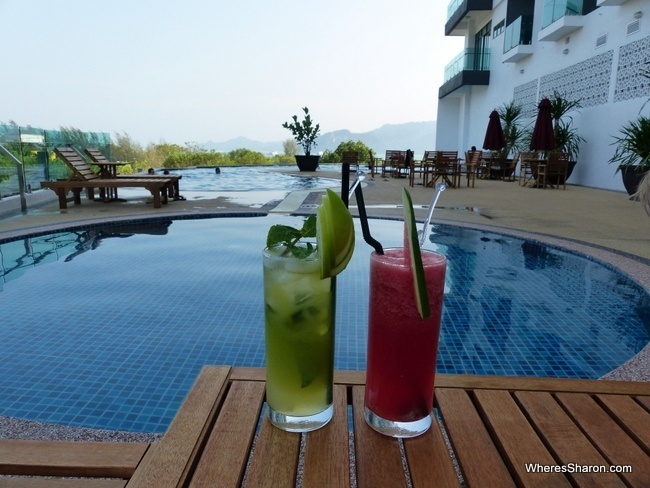 We loved staying at this new hotel in Kuah, the largest town in Langkawi. Its central location made things very easy as it was surrounded by restaurants, and there is a shopping centre next door. The hotel is new and everything in our room was great. It was a standard international style hotel room, and we were able to get an extra bed for the kids. The room had a balcony with great views. The hotel has two infinity pools (one women’s only), a kids pool, a gym, restaurant and other services and facilities that you would expect from a 4 star hotel. The breakfast buffet was fantastic. One of the best I have had with a huge variety of food and not just a station for omlettes, but one for roti and some other goods. They also were baking fresh croissants which were just delicious. The thing that really stood out at this hotel to me was the service. This hotel is rated 4 stars, but the service was easily 5 star standard. Multiple people welcomed us to the hotel, there was always lots of staff around and everyone was just so friendly. We also had by far our best welcome at any hotel. On our arrival day, it was Z’s 3rd birthday. 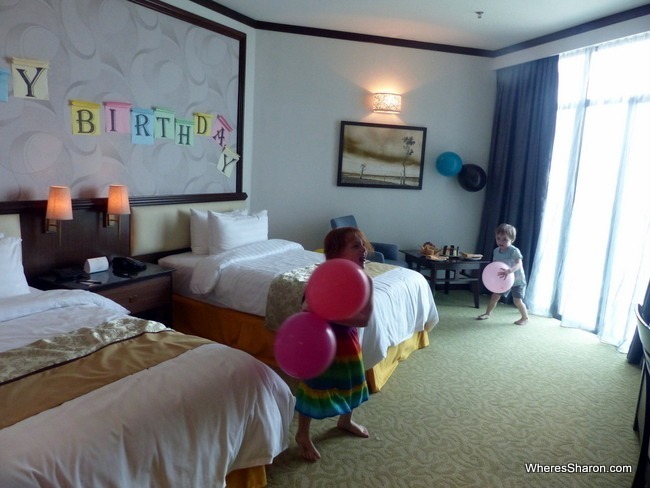 When we arrived in our room, there were balloons, a happy birthday sign and a cake! And the staff come in and sung happy birthday. He was ecstatic and S is asking to go to this hotel for her birthday. What also makes the Adya Hotel one of the best places to stay in Langkawi is that it is incredibly good value. I found prices online for only RM200 (currently less than US$55). You can check out the latest prices for yourself. Read more about the Adya Hotel on their website. If I was going to describe the most perfect resort I could come up with, then I would describe The Andaman. This beautiful luxury resort is surely one of the best places to stay in Langkawi. In addition to our absolutely stunning, two room suite with private terrace, there is a huge lagoon style pool, 4 restaurants, bars, a great kids’ club and an innovative Coral Nursery where you can have included private snorkeling tours. However, the best part about this resort has to be the location. It feels like it is located right in the rainforest while still being right on the beach. It is secluded and private. All four of us had a fabulous time here and it is the perfect spot to relax. 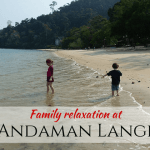 You can read our full review of The Andaman Langkawi or check out the latest prices here. The Danna Langkawi Hotel is a great choice for people who are wanting to splurge. This hotel receives consistently high reviews and is located near the chair lift. Children are welcome, extra beds are available and there are all the facilities you want with a great swimming pool and kids club. Click here to see the latest prices. Berjaya Langkawi Resort is a fabulous option away from the hustle bustle. It is a big resort with a variety of room types including over water bungalows. There is a fabulous pool and other great facilities. Click here for the latest prices. Meritus Pelangi Beach Resort & Spa is the best choice for people who want to be in the centre of things and right by the beach in its Pantai Cenang location. This hotel is full of facilities such as a pool, kids’ water slides, playground and many water sports. There are a wide range of room types including family rooms. Click here to see the latest prices. 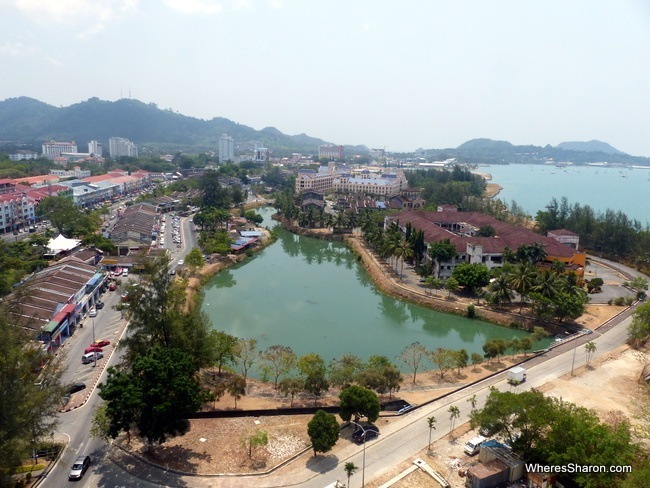 NR Langkawi Motel is a good budget option for families who want to stay in a central spot at Pantai Tengah for a cheap price. This motel has a range of rooms including 4 person rooms. 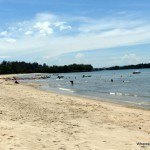 It’s a 5 minutes walk from the beach and 10 minutes to the main strip in Pantai Cenang. Click here to see the latest prices. Labu Labi Residence Resort is an accommodation option right on the beach at Tanjung Rhu recommended by one of our readers. She says that its not the most luxurious option, but it is spacious and a good price. It’s also a good beach for kids to play and swim. Click here to see the latest prices. 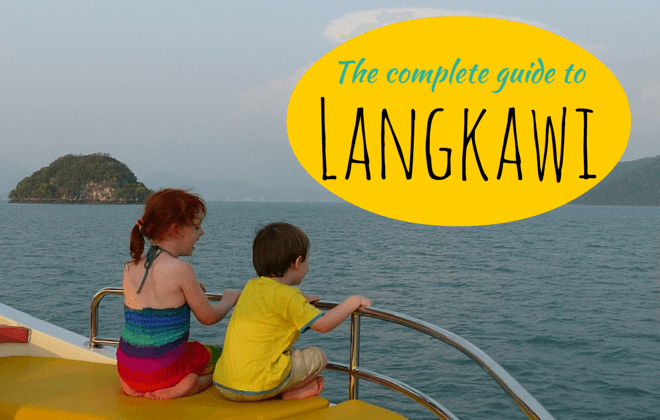 If you are wondering how to get to Langkawi then it couldn’t be easier. There are regular flights here on Malindo Air, Air Asia, Firefly and Malaysia Airlines from Kuala Lumpur. The flight takes about an hour and is often heavily discounted for a crazy cheap price. You can also get to Langkawi from KL by catching a bus and then a ferry, but given the cheap price for flying, I’d stick to that. It is also possible to do what we did and fly from Penang. We bought tickets on an Air Asia sale. We literally paid about AUD$100 for all 4 of us return. There is also a ferry from Penang, but you will probably find that flying is cheaper. Skyscanner is a great site to use to find the cheapest flight. There is a distinct lack of public transport on Langkawi so I would recommend hiring a car. This would have to be one of the easiest places to drive in Asia, so I would not worry about being able to handle the traffic (there is not much) or the roads. I easily found car hire online starting at RM60 per day. If you do not hire a car, you will need to take taxis or tours which can quickly add up. Attractions are spread out all over this island. The temperatures in Langkawi do not vary much throughout the year – it is always hot and humid. The dry season is mid November – mid April. The wet season is September to mid November. Even in the wet season, it usually only rains for a couple of hours a day on average with half of that being overnight, so it shouldn’t necessarily deter you from a holidaying at this time. The peak tourist season aligns with the dry season. There is nothing special you need to pack for Langkawi although I would certainly bring your bathers, sunscreen and a hat. There are plenty of shops to purchase anything you may have forgotten. We find toiletries so cheap in Malaysia that we usually buy them on arrival rather than take them from home (apart from sunscreen that is very expensive). Casual, summer holiday wear is perfect for Langkawi. 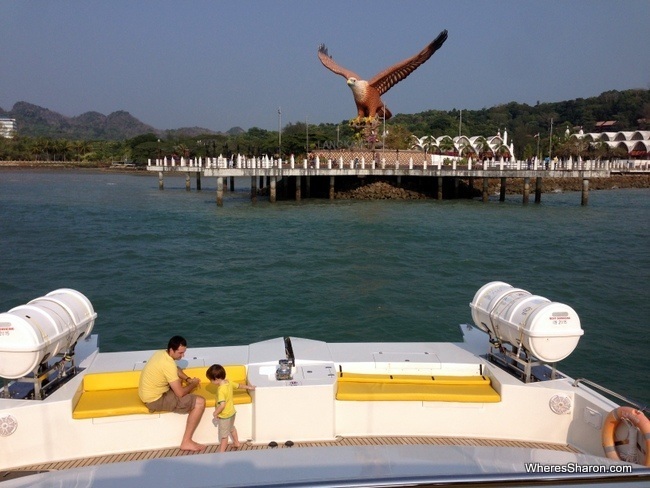 Langkawi is the perfect destination for a family. 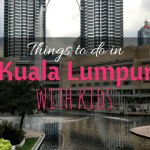 There are so many activities to do in Langkawi for kids. There are also many accommodation options and you should have no problem finding something to suit your family. 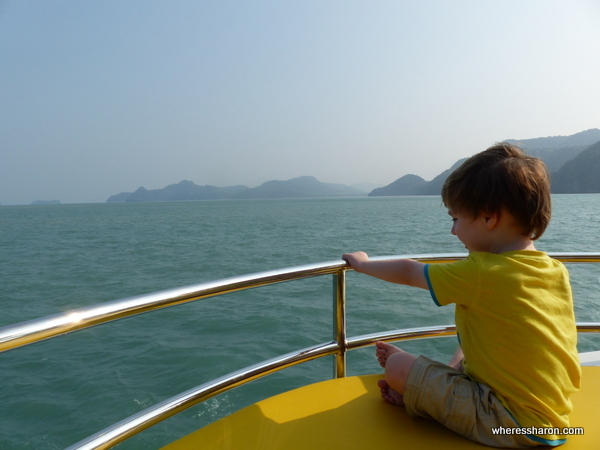 Our kids loved Langkawi especially the wildlife park, the sunset cruise and The Andaman’s Young Explorers Club. It is a great holiday destination for us as the attractions are largely outdoor and nature focused with plenty to interest S and Z. We loved Langkawi! We came to Langkawi wanting a vacation and we found the perfect place to have it. It is just such a beautiful and easy place to be. From the top of the cable car to the sunset cruise to splashing around in our private pool, it was a fantastic experience and I really cannot wait to go again. Have you been to Langkawi? What was your favourite part? 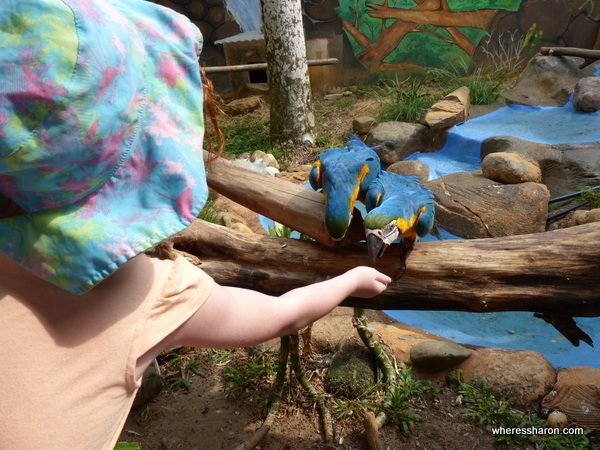 During our time in Langkawi, we worked with Naturally Langkawi who helped us plan the best trip with kids. As usual, our views are our own. 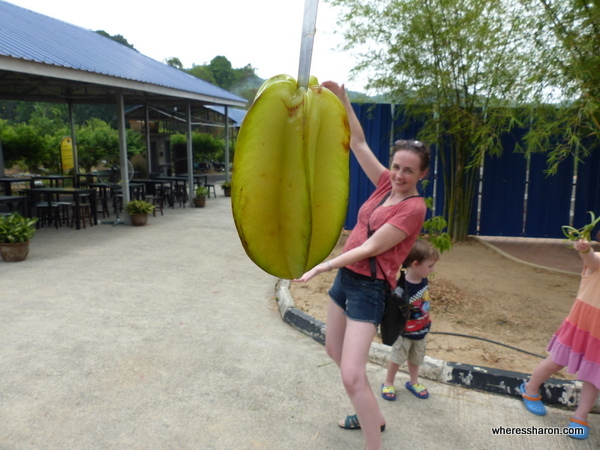 Hi Sharon..i found your travel blog and it was amazing and informative.i’m from malaysia but i never been to places such as Langkawi and other beautiful islands and your blog give good tips. Have a wonderful stay in Malaysia!!! Sky Cab is amazing when you reach the top! I still remember you need to take a climb to reach the peak which they have an amazing view. I love your blog, great information thank you very much. My husband and I are planning a trip to Langkawi next June and want all possible information. Are there any other beaches or places that you could recommend . We are taking our children ages 13 and 15 year old. Is it better to stay in a hotel or rent a villa through Airbnb. We were in April in Lombok and Phuket , but this time we want to experience Malaysia. Thank you so much!! Very exciting. Langkawi is fabulous! I did not look up places on Airbnb so I can’t comment on that part of your question. Pantai Cenang is the main beach area. I would have loved to check it out had I had more time. Everything I experienced is written about above. Good luck with your trip! Loved reading your blog as I have just booked our plane tickets to go to Langkawi. Reading your blog gave me such excitment and we can not wait to go! I think I might just have to book that sunset cruise. Do it!! The cruise that is. The thought of it is enough to put a huge smile on my face still 😀 I hope you love Langkawi as much as us. but there’s one thing : would you mind telling me the name of Car rental? Hi Nadine! I did not hire a car so can’t give a recommendation on that. Have fun! I will be staying in Adya hotel in Langkawi with my family in Jull, 2016. I understand the hotel has restrictions on alcohol ( beer). Will it be an issue if i consume beer in my room? Hi Iftekhar! I am not sure, you will have to check with the hotel. Can you take a three wheeler (a tuk tuk) to beach fron hotel Adya? Hi Iftekhar! I am not sure but I don’t think so. It’s a long way to the main beach area so I wouldn’t want to take a tuk tuk even if it is an option. How many nights did you stay at Adya and then the Andaman? Just planning how long our overall trip should be…..
Hi Nicola! We did 2 nights at each. I wish it had been longer though! Hi js! Ugh I hate working that stuff out. Too many hotel sites and booking sites make it difficult to work out. Unfortunately, I don’t remember. The room was not that big so I doubt it was anything special. Found your blog very detailed and informative. Thanks for sharing with us. We are travelling to langkawi at the end of the March with two kids. Can you please tell me about the availability and conditions of restrooms/changing rooms at the beaches and other public places. Hi Rabeeya! I’m sorry but I really can’t remember which makes me think they can’t have been too bad. Enjoy! Ok. Thanks a lot ? Thanks for sharing your worldly experiences! ? 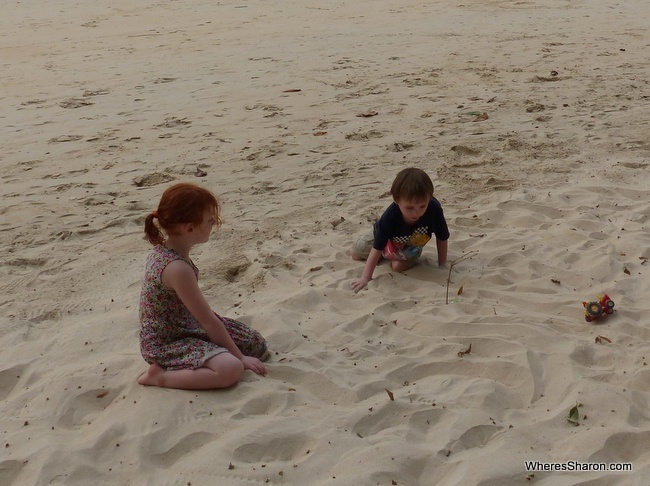 Do you think 1 day (arrive in the morning and leave by evening) is enough time to spend in Langkawi with 2 kids (6 & 8 years old)? Hi Milli! I think that would be a shame and not really worth the effort. Enjoy whatever you decide! Hey Mon! That sounds exciting! With 3 weeks, I would consider going down to JB/Singapore as well. Legoland is lots of fun with kids. We went when our kids were 3 and 5 at that time of year and it was great. That will take another flight but they are very cheap on Air Asia. 7 days is enough on Langkawi. Penang is awesome and I love it after spending a long period of time there. However, it’s more a place to just hang out and eat a lot (food is superb) and there isn’t that much to do really. Cameron Highlands is also a great place to visit to see a different side of Malaysia. Port Dickson could be a nice way to start or end – it’s near KL airport and has some great value accommodation. Hi Sharon! How did you get around the island? Did you bring your own car seats for the kids? Hi Wendy! we had transfers. Your own car would be a great way to go. We didnt take car seats – way too much to transport for me. We were able to hire car seats with our hire car in Penang though so I’m sure it is probably possible in Langkawi too.